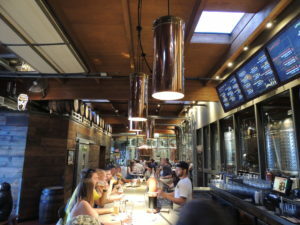 Portland, Oregon, known to many beer geeks simply as “Beervana” A journey to this beer-centric city has been on my beer bucket list for years. 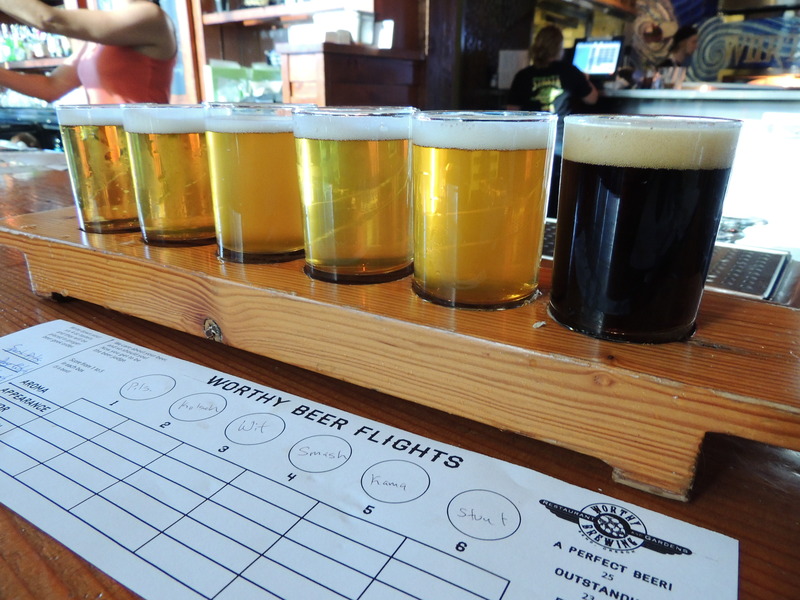 This summer’s beercation blog series, “Namaste For A Beer,” is all about learning about the craft beer culture that has been alive and well in Oregon for decades. My travels will lead me on a pilgrimage of sorts to Portland, the craft beer crown jewel of the Pacific Northwest. My beercation purpose is threefold: to meet great people, drink great beer, and understand what the Oregon craft beer culture is all about. For this purpose, my route will lead me through Tillamook, Newport, Corvallis, Eugene, Bend, Hood River, and finally, Portland. I have been hearing about Bend’s embarrassment of craft beer riches for years. 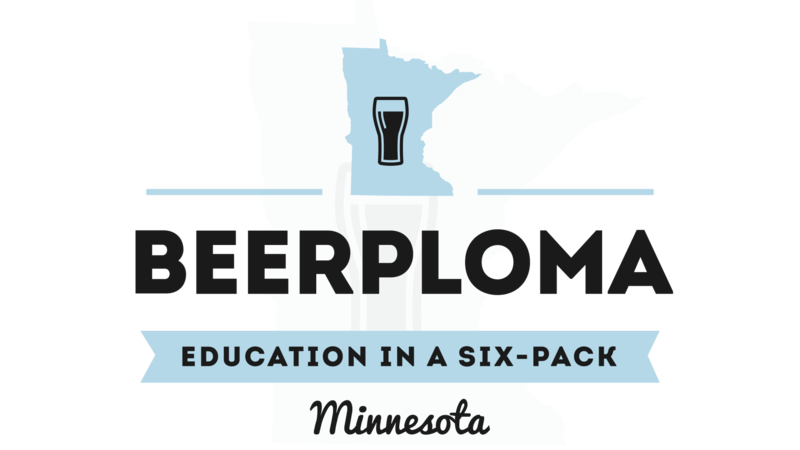 A town roughly the size of Bloomington, MN, that has over 20 breweries is definitely intriguing. Beer powerhouses like 10 Barrel and Deschutes started in Bend and put them on the craft beer radar. As the years passed on, more craft breweries have popped up in Bend and I definitely have my work cut out for me. The pace and frequency of my beer visits are about to pick up. My previous adventure in Eugene will seem like small potatoes compared to what Bend has in store. Luckily, I am spending 3 nights there so I should be able to see the best Bend has to offer. 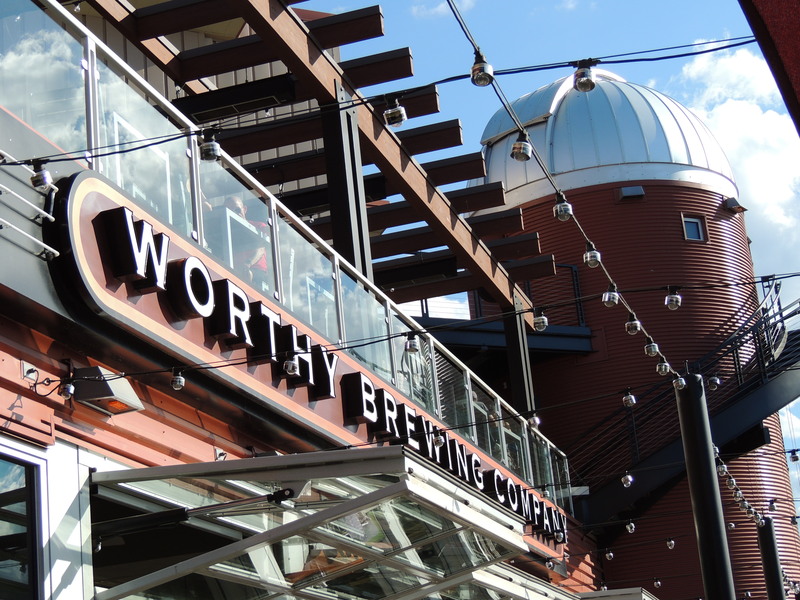 Since it is close to where I am staying and far away from everything else, I stop at Worthy Brewing. Worthy definitely has some money behind it. For being a newer brewery, this place is a monstrosity. The ambiance is as if a brewery got really drunk, picked up an Applebee’s and had a love child which they named Worthy. The vibe reeks of a chain restaurant. As I arrive, there are musicians playing out on a stage and every area is packed with people. I grab a seat at the end of the bar and take a look at the beers. I can tell immediately that this place is a money grab. I have a serious problem when I see a bartender dip the tap faucet in my beer. That is a huge no-no and is an affront to industry standards. To me, this is a sign of people who don’t respect beer quality or cleanliness. I can count on one hand the number of times I have seen this bad practice in a brewery over the years. It has me second-guessing my decision to stop in, but I still have to taste the beers. The beers arrive in my taster and thankfully, the beers are solid. I have a mix of things, a Pils, a Wit, a SMASH, an IPA, and a stout. The Pils is well-made and clean. It has a great cracker malt flavor with a crisp finish. The Wit has a pleasing clove and spice aroma that is extremely refreshing. The Kama Citrus is a bright and fruity IPA, something I would absolutely enjoy a full pint of. The Lights Out Stout is by far my favorite beer. The body of the beer is robust enough to support big flavors of vanilla and lactose sweetness. There is a great balance in this beer thanks to the copious amounts of roasty flavors of coffee and dark chocolate. The only miss for me is the SMASH, it is thin and the mint and pineapple are not synchronous enough for my liking. I attempt to try to get the bartender’s attention to ask a few questions, but I am totally ignored. She made eye contact with me 3 different times as I held up my card, but still no interaction. Eventually, I just left cash and left. I am hard-pressed to recommend this place to anyone. Even with a few decent beers, lackluster service, horrible parking, and poorly trained bartenders make Worthy a hard pass. Just get their beers at the liquor store and avoid the brewery equivalent of Applebee’s. After doing a bit of research about places to enjoy beer and photography, Crux Fermentation Project fits the bill as my final stop for the day. 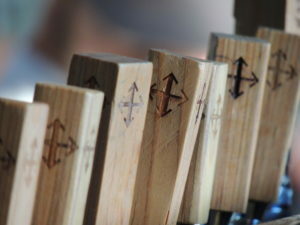 They have a fantastic taproom and the vibe is more along the lines of what I expected to find in Bend, OR. So, I park and walk past their outdoor area with lawn games and music to the taproom. The taproom is also crowded, but I find a seat at the corner of the bar. I am glad this is the last stop because they have a lot of beer on tap that I want to try. Zach, the bartender is extremely helpful in getting me set up with a taster tray. I try to get a mix of styles and flavors that show me what Crux is all about. On a Thursday night at 8 pm, the place is absolutely packed. Zach is unfazed by the crowd. He is getting people tastes of beers to help them decide what to have. He is chatting with everyone and making them feel welcome. There are plenty of places that lack this type of awareness in their staff, so it is nice to see an adept bartender at Crux. My flight board is up and I begin sipping. As I am sitting there enjoying myself, a couple notices me drinking and taking notes. One of the ladies asks what I am doing. I tell her I am on a beer tour of Oregon. Her face lights up as if I just delivered news of her winning the lottery. 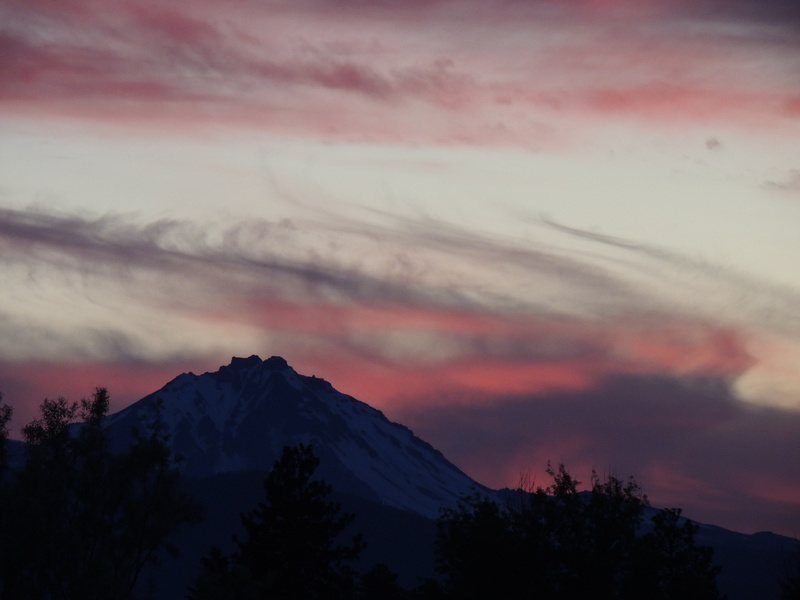 She begins to rattle off all the things to do in Bend that will alter one’s mood. “20+ breweries, 5 distilleries, 4 wineries, and all the weed you could want. If you can’t get high in Bend, you’re doing it wrong,” she says with zeal. I am not sure if the Bend Department of Tourism has this lady on speed dial, but they should. 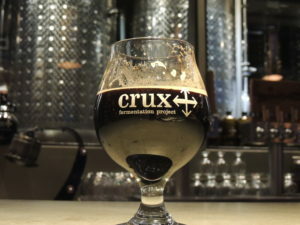 I am a big fan of the beers I am tasting at Crux. They showcase a high level of brewing acumen. The lagers are crisp and clean. The Principal Export, especially, has a crisp malt finish that I really appreciate in the style. The To Hell’er Bock is a superbly well-hopped lager with a nice crisp bite at the end. The Honey Marzen is not overboard with the honey and has a nice toasty flavor. The Doublecross Belgian Strong Dark Ale had a lot of plum and raisin character and a wonderfully chewy mouthfeel. However, the showstopper for me is the Tough Love Russian Imperial Stout from the Banished series. At 11.5%, this is definitely a sipper, so I order it in a tulip. I let it warm up to get the maximum effect of the flavors and aromas in the beer. Lots of roasted malt in this beer. The vanilla sweetness balances out the barrel and hints of bourbon. There is a ton of chocolate and a little bit of cherry to add nuance to Tough Love. Whatever lingering memories of a blase atmosphere there are leftover from Worthy each sip of Tough Love assuages those thoughts. I am not sure if it is the perfect sunset, the friendly bartender, or the incredible beers, but I am having a truly wonderful time here. This is what craft beer is meant to be. People enjoying themselves in a casual backdrop of hospitality and openness. It seems like there is so much negativity out there in the world right now. It is nice to be reminded of the goodness of people and the warmth of a smile. I don’t know, maybe this is the Tough Love talking, but I feel a keen sense of comfort here at Crux. 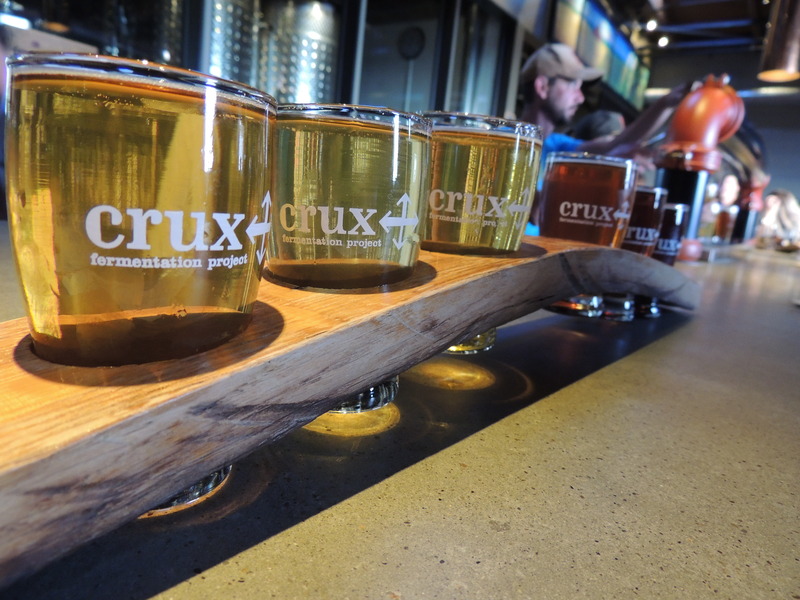 I believe that Crux is a truer representation of what the Bend beer culture is. So, today’s journey has hopefully shown me that I got the only forgettable brewery in Bend out of the way first. Tomorrow, I have a full docket of places to go and people to meet. I continue to savor my Tough Love, sip by sip. The crowd thins and soon it is the last call. I set a course for my Airbnb and a good night’s rest. I am optimistic about what tomorrow holds in store for me and I fall asleep with a smile on my face. Prost!